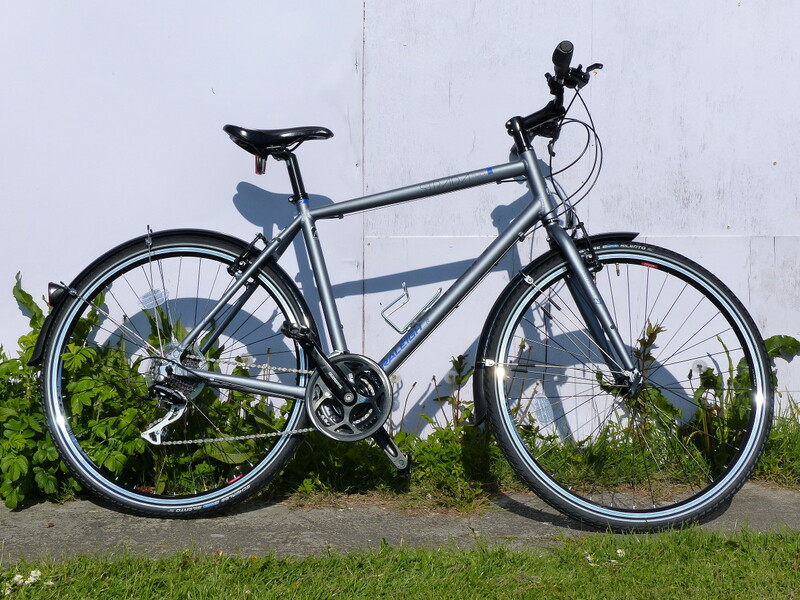 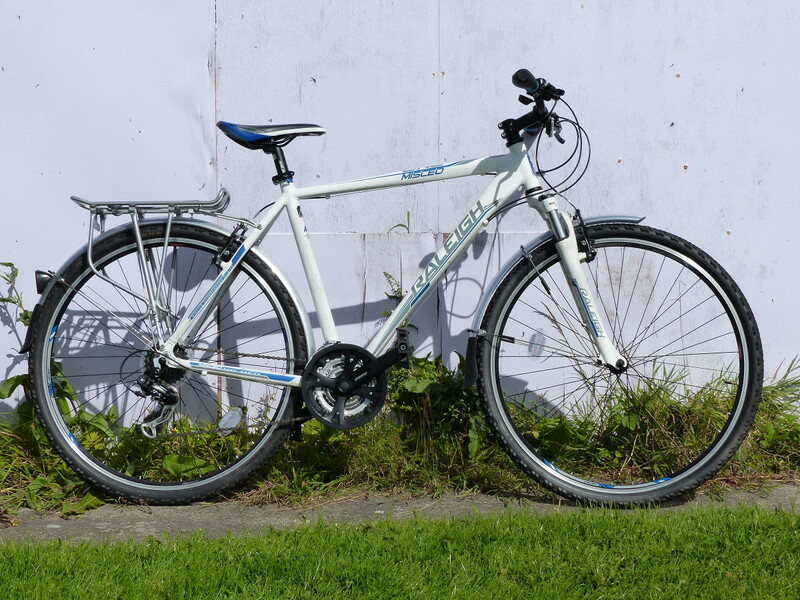 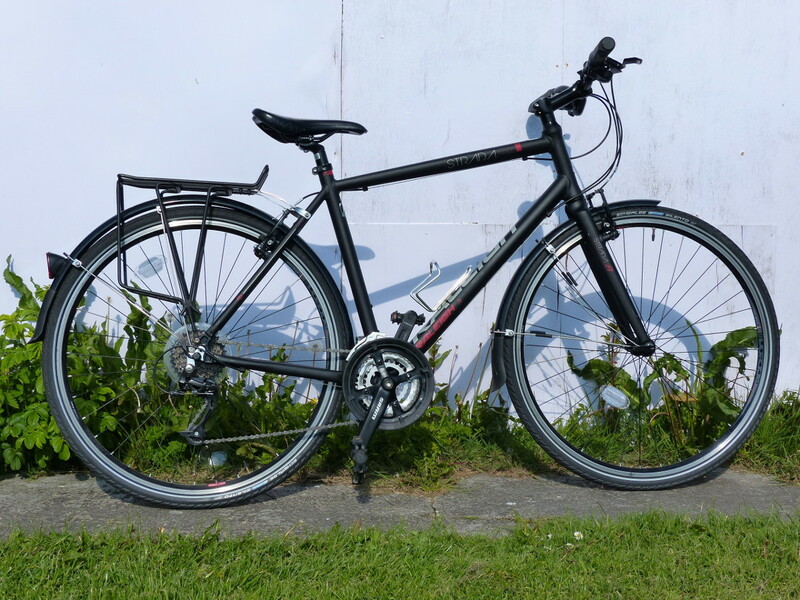 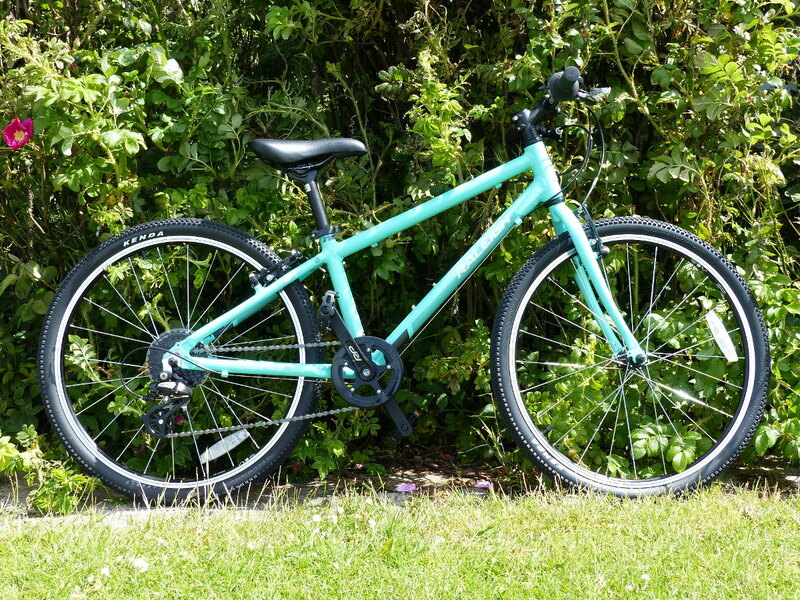 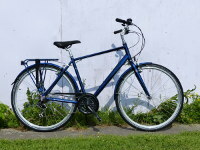 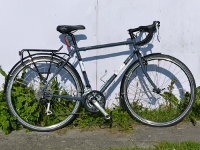 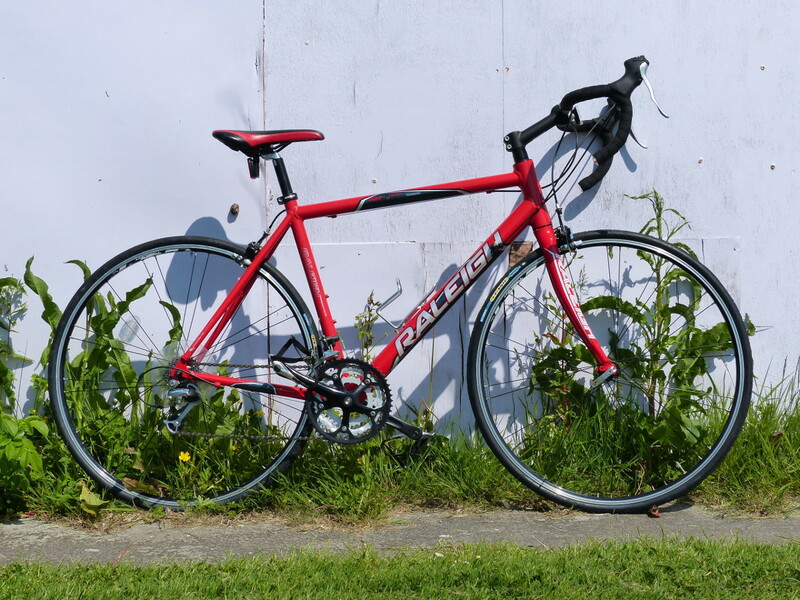 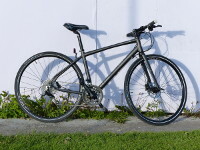 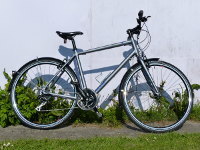 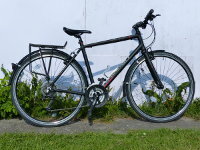 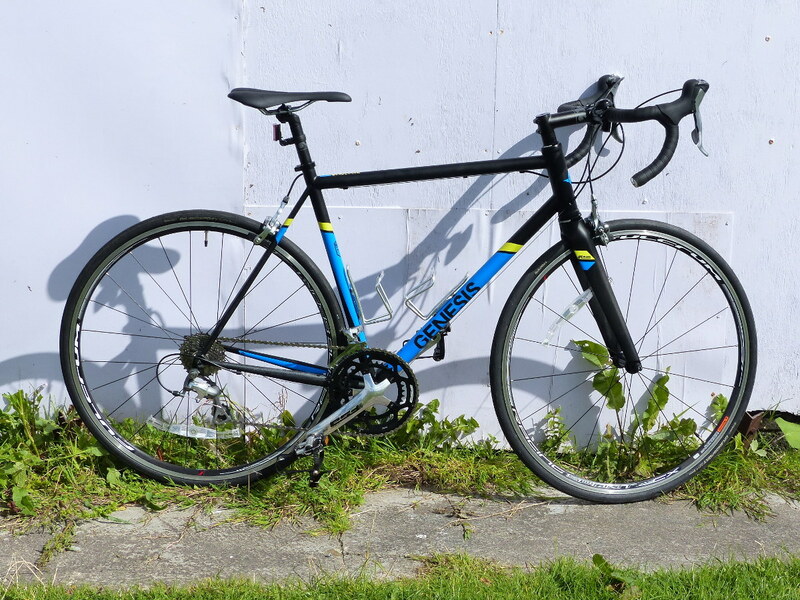 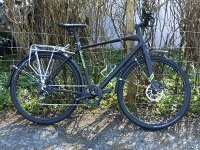 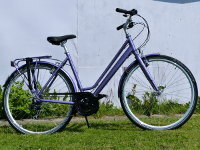 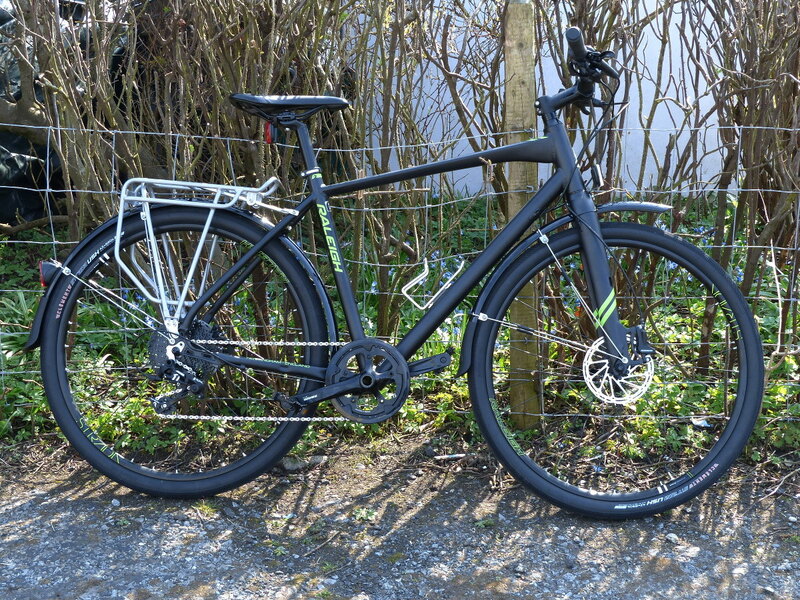 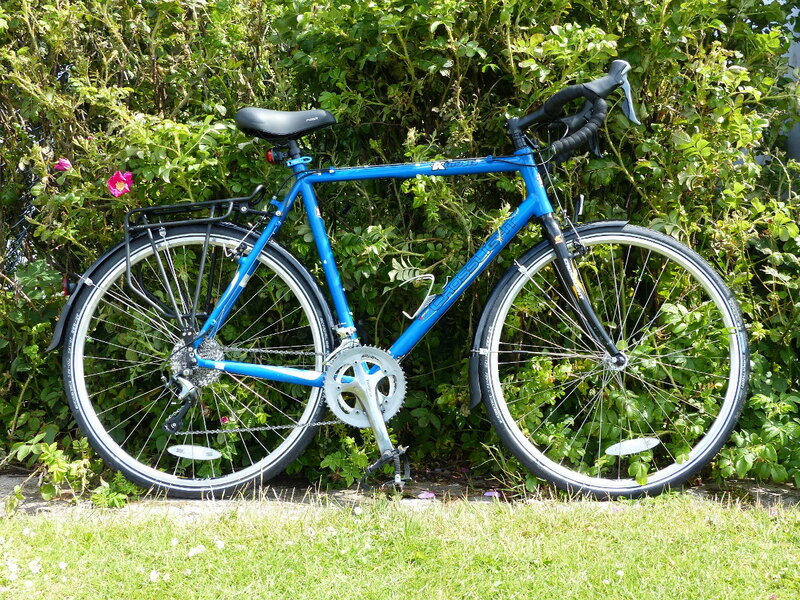 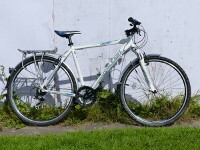 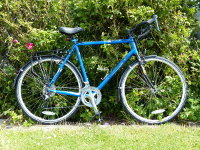 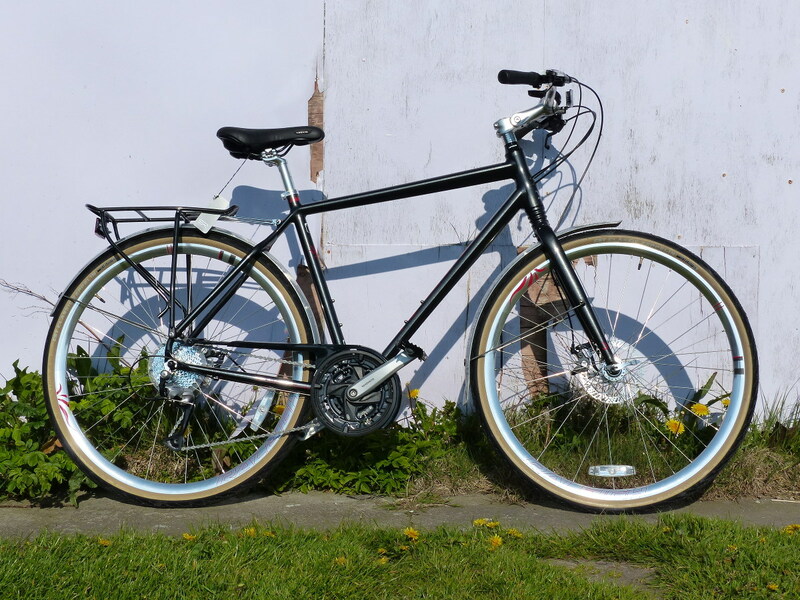 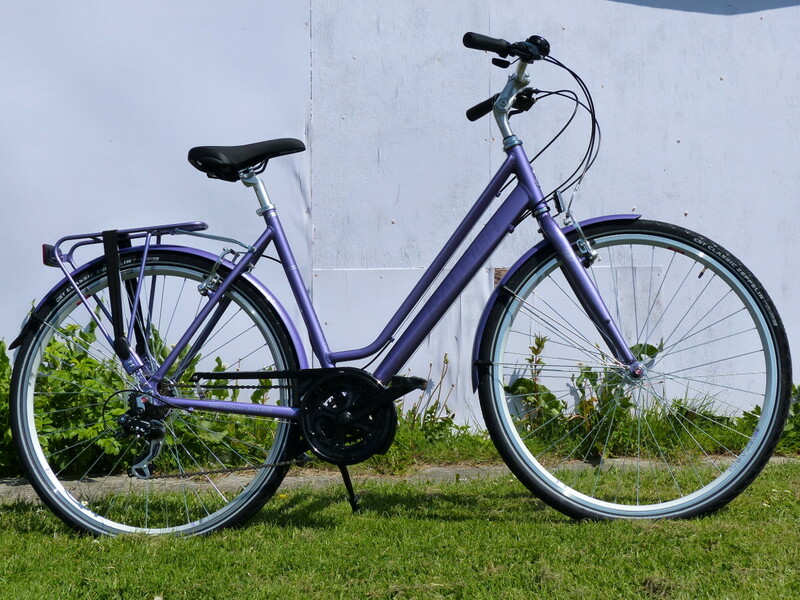 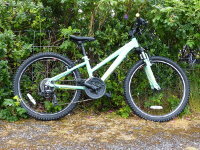 We have a wide range of bikes in different sizes to suit everyone, whether casual or serious cyclists. 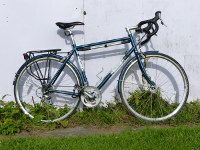 Select a small image to see a larger version. 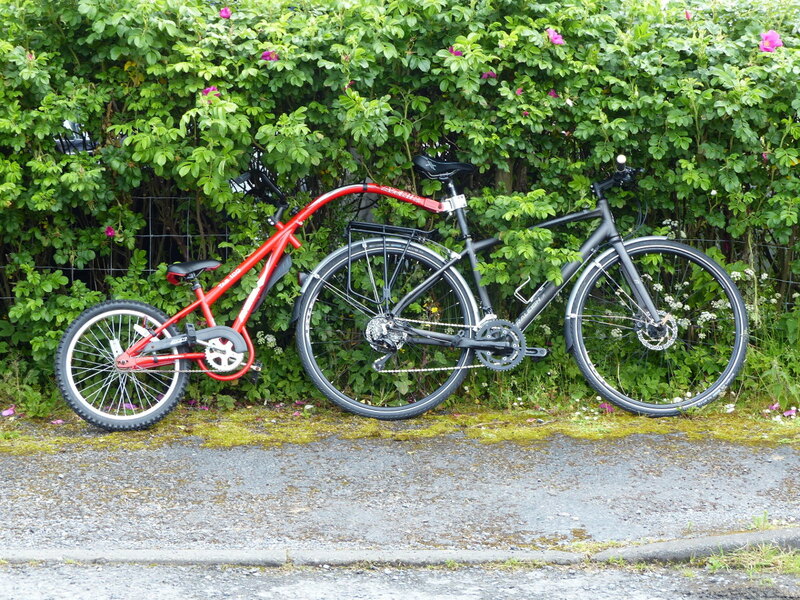 Not all bikes are illustrated. 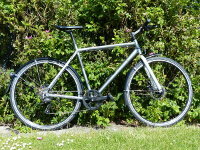 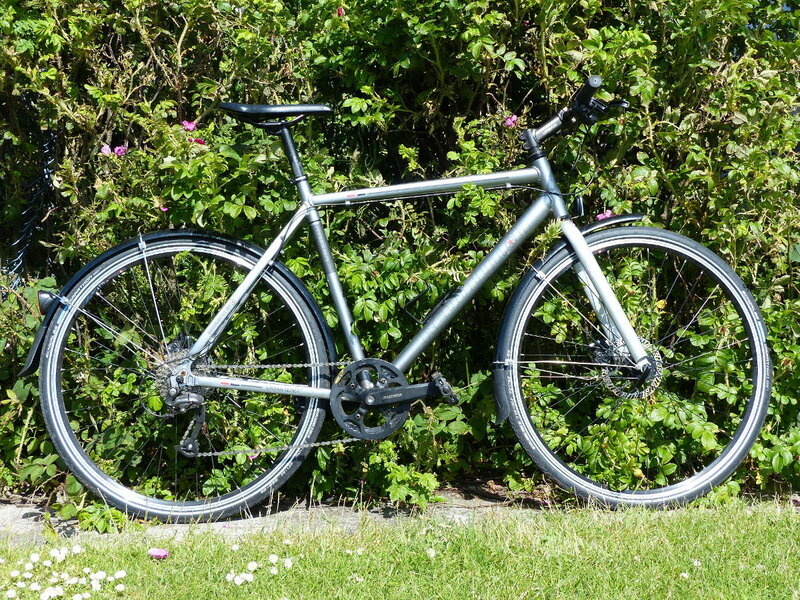 Premium: Hand-built with Kinesis Crosslight frame. 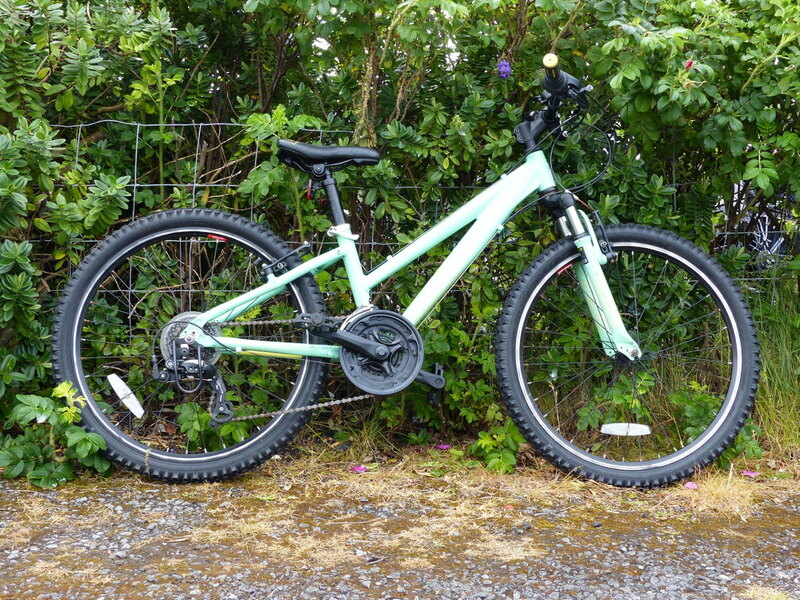 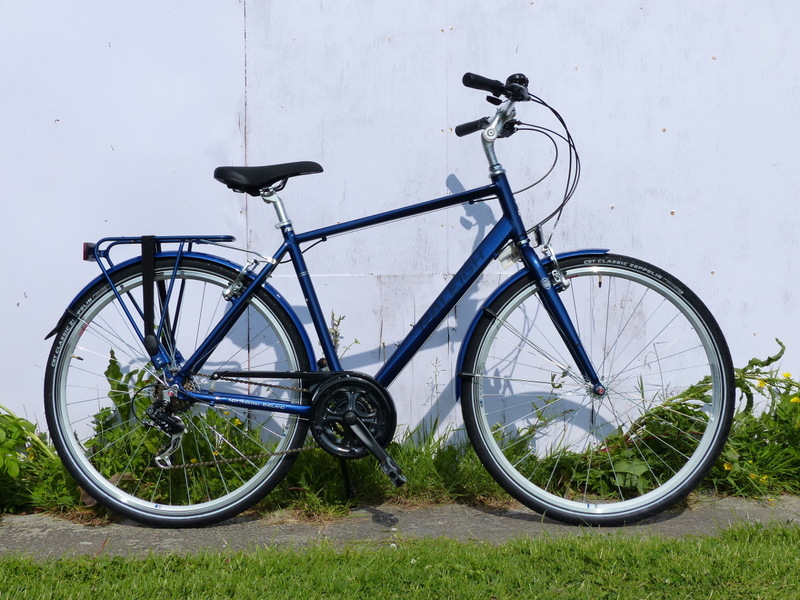 Standard: Raleigh Pioneer Trail (ladies' frame). 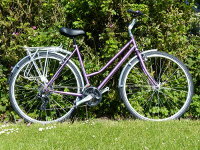 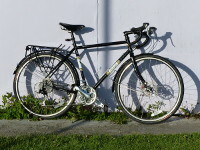 Standard: Raleigh Pioneer 1 (ladies' frame). 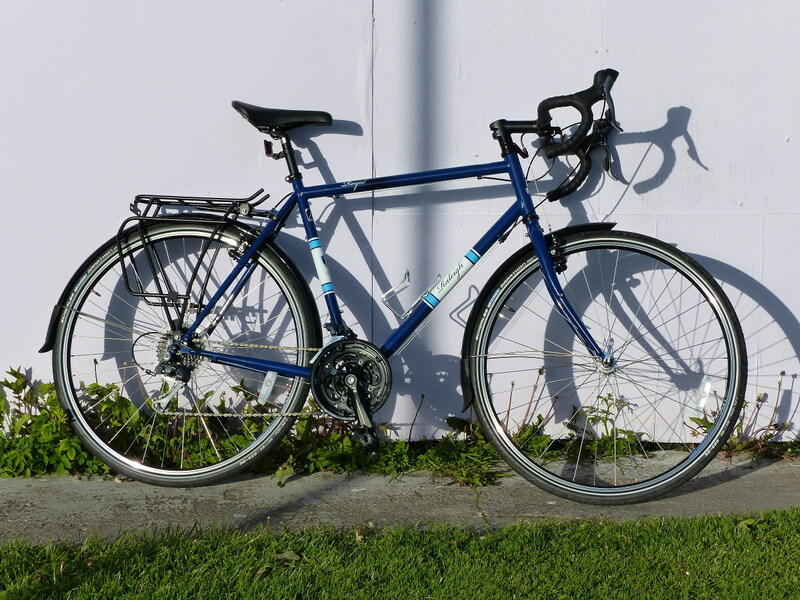 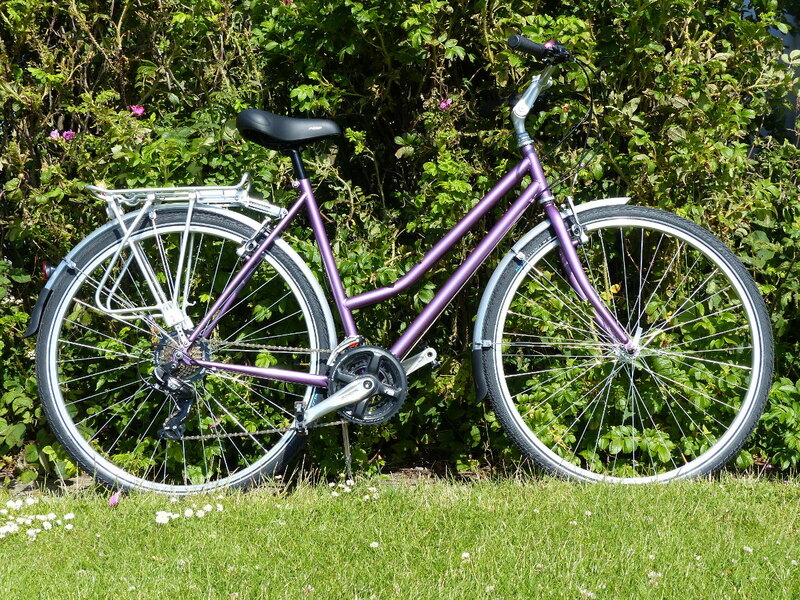 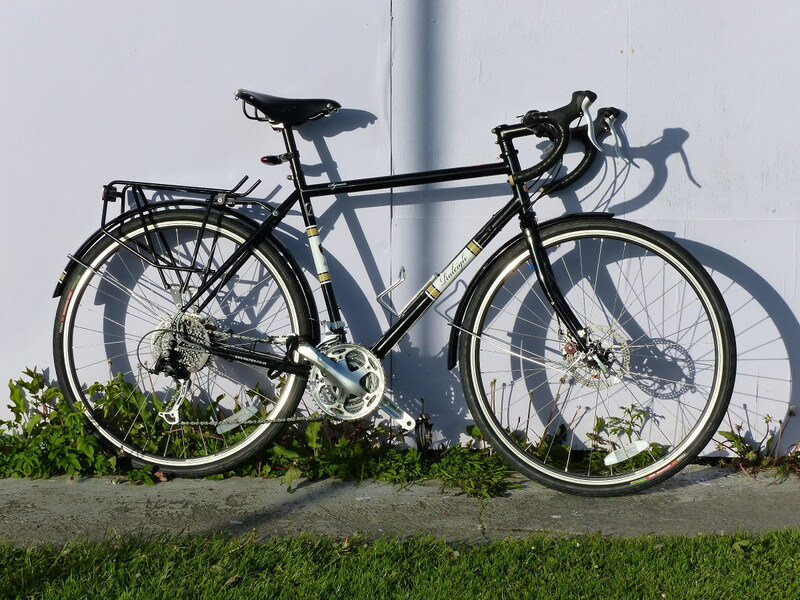 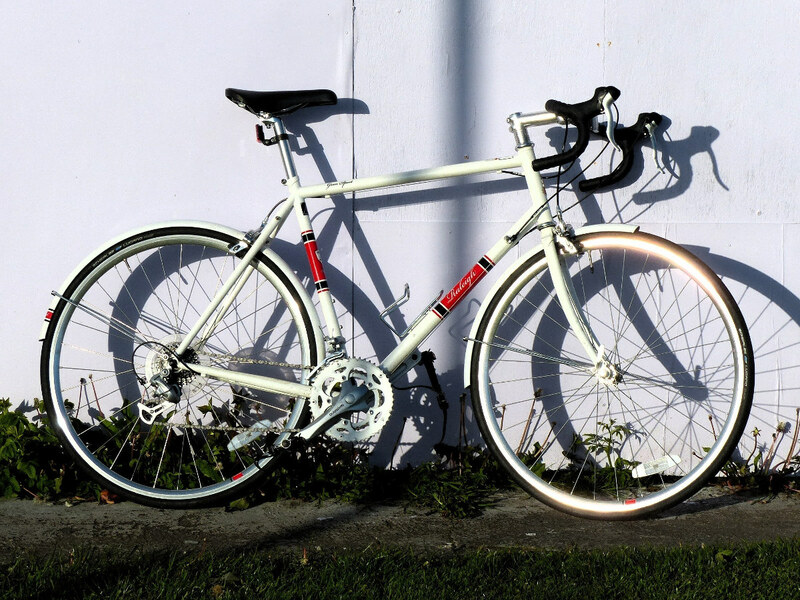 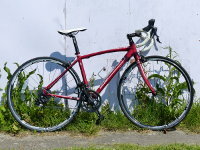 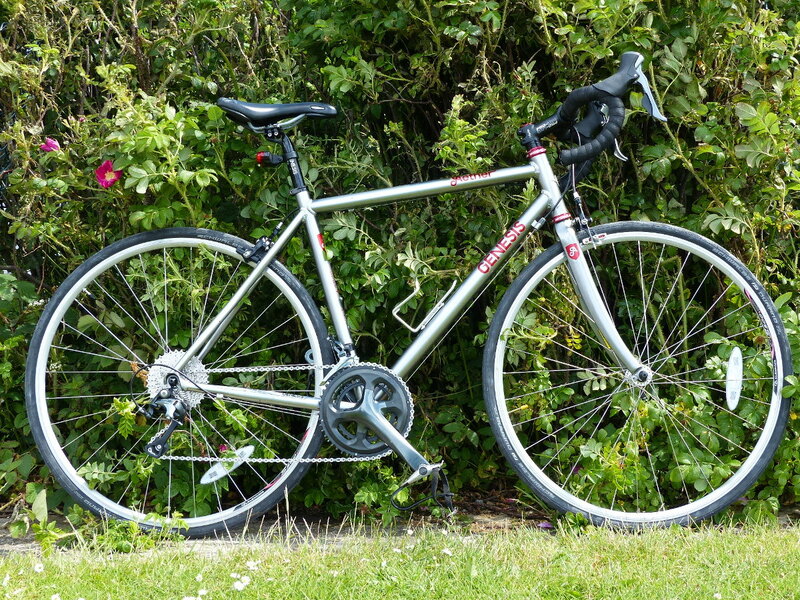 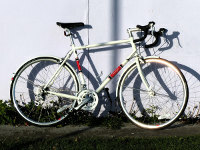 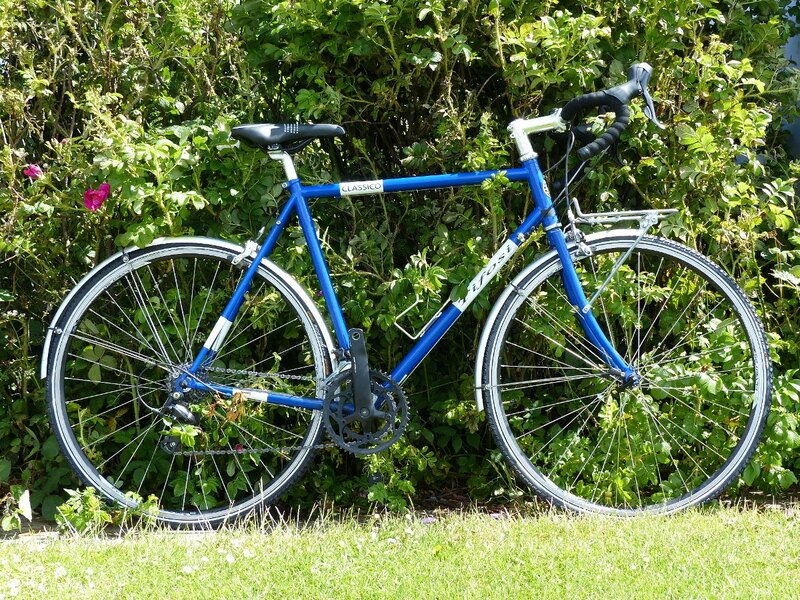 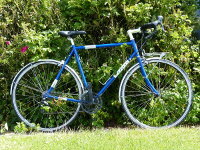 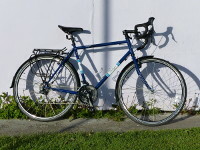 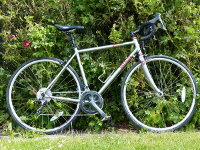 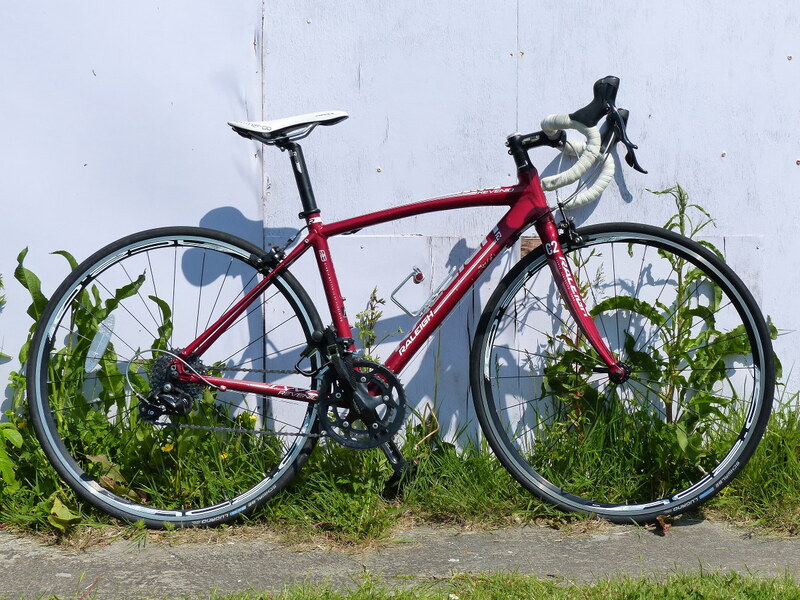 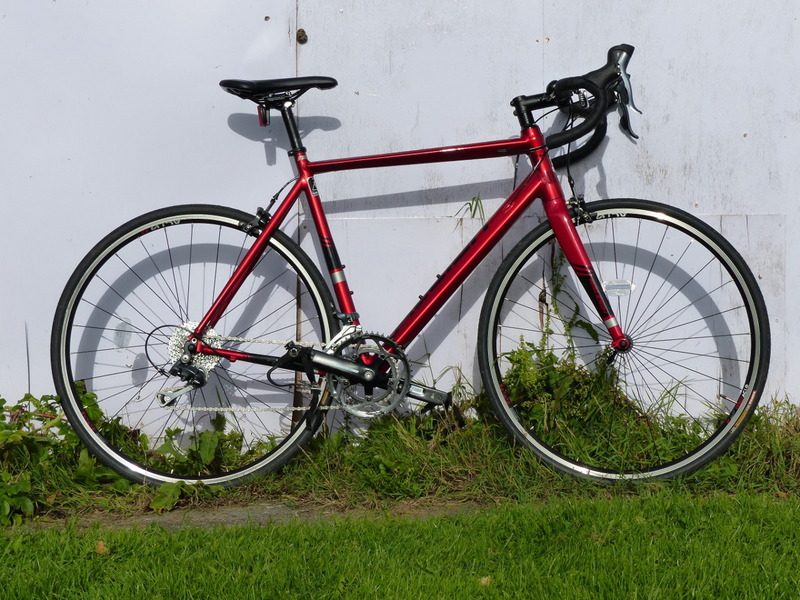 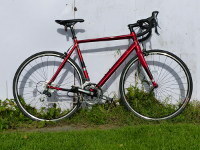 Standard: Raleigh ladies' steel frame; hand-built. 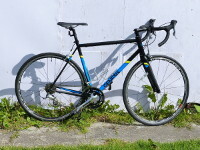 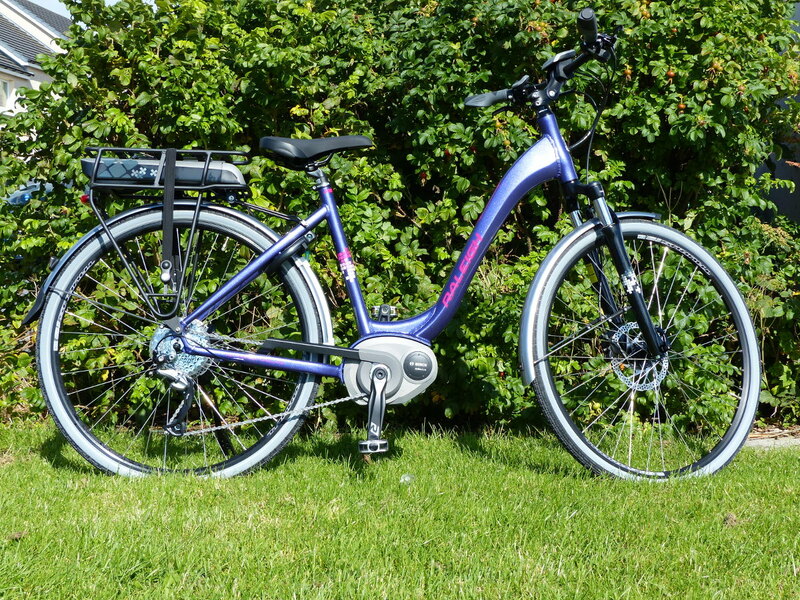 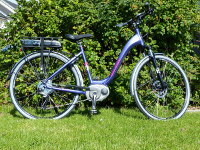 Raleigh Captus power-assist bike - affectionately nicknamed "Vital Spark"! 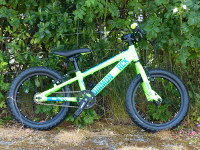 Diamondback Hyrax 16-inch wheel size; suitable for ages 4+. 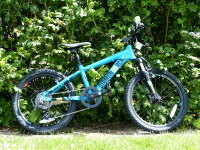 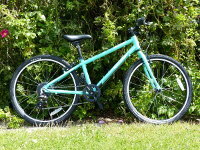 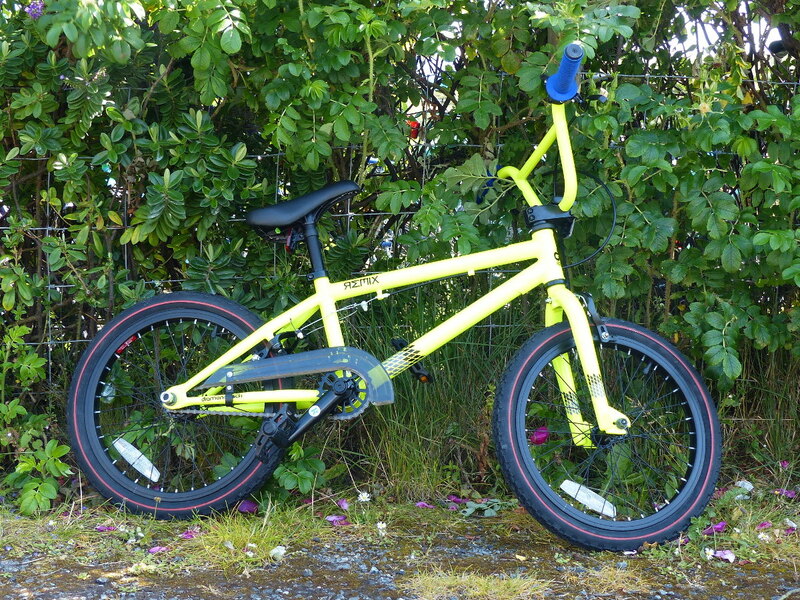 Diamondback Remix 18-inch wheel size BMX bike; suitable for ages 5+. 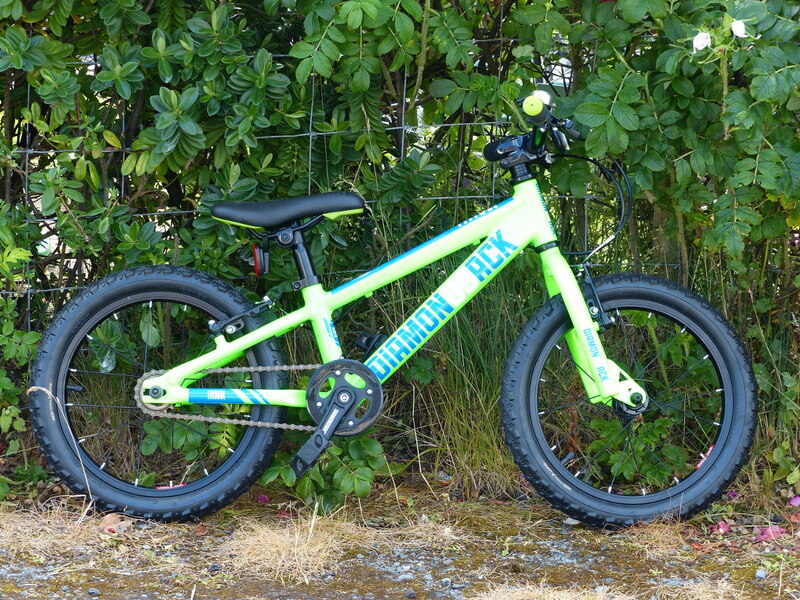 Diamondback Hyrax 20-inch wheel size; suitable for ages 5+. 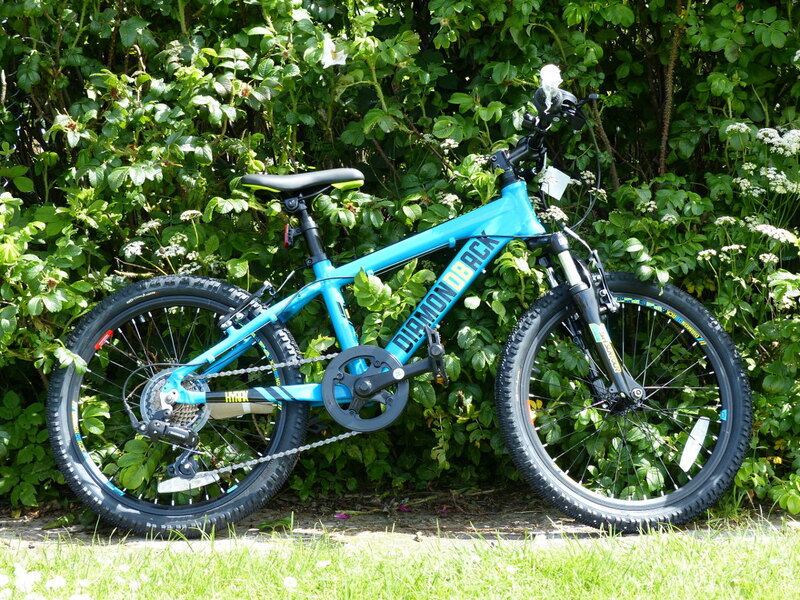 Raleigh Performance 24-inch wheel size; suitable for ages 8+. 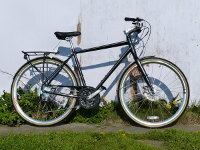 Raleigh Eva 24-inch wheel size; suitable for ages 8+. 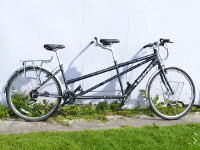 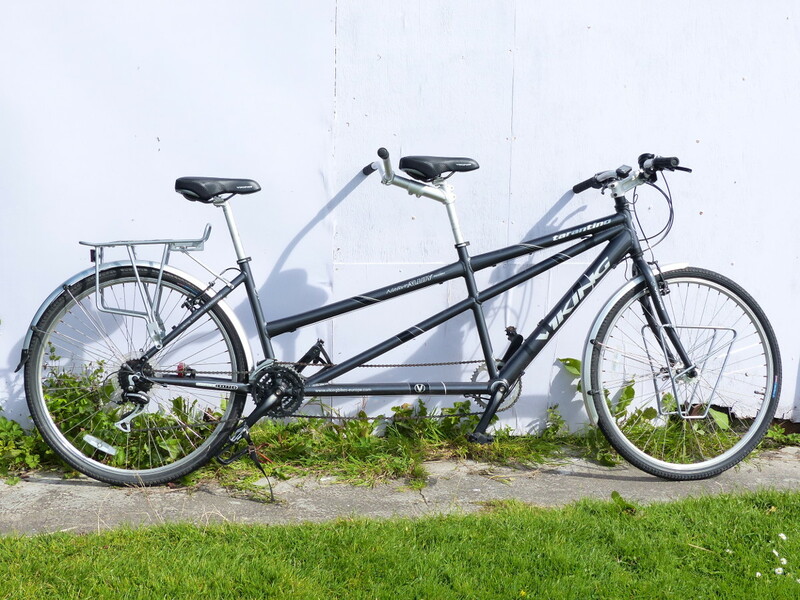 Convert an adult bike to an adult-and-child "tandem". Rear safety flag included. Front-mounted seat can be used with any adult bike. 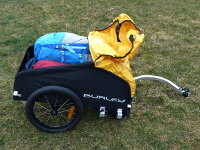 Trailer for one or two passengers; maximum load 45kg (100lb). 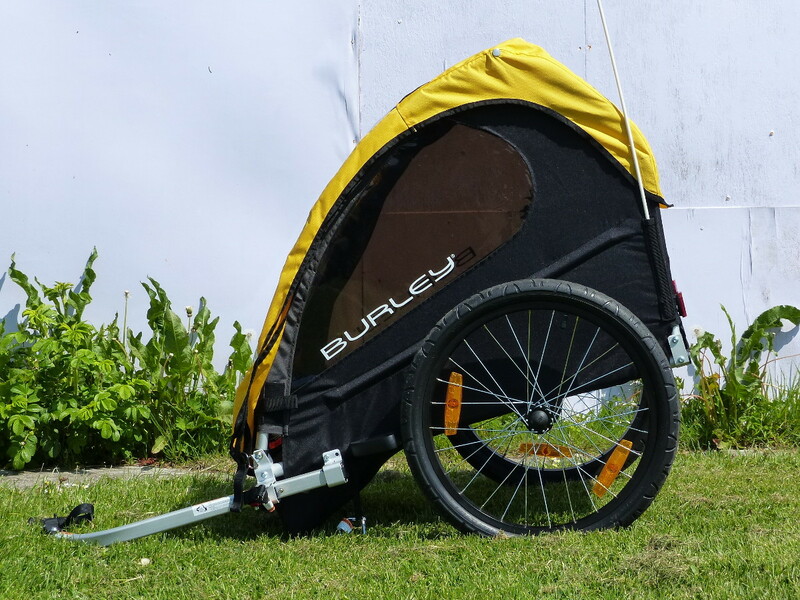 Rear safety flag included. 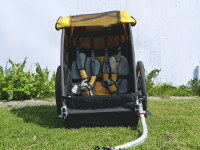 Trailer has padded seats and secure padded harnesses. 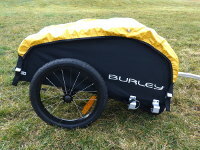 Trailer has tough waterproof cover, and low profile for stability. 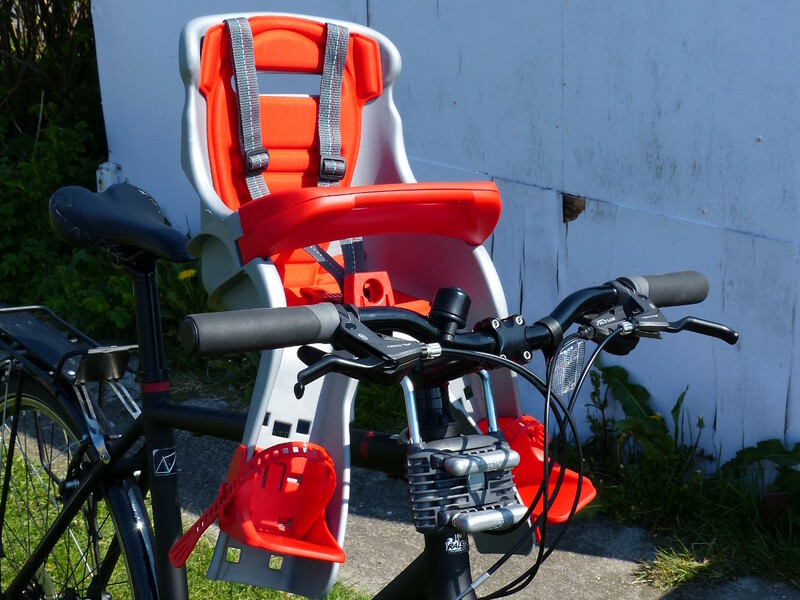 Rear safety flag included.